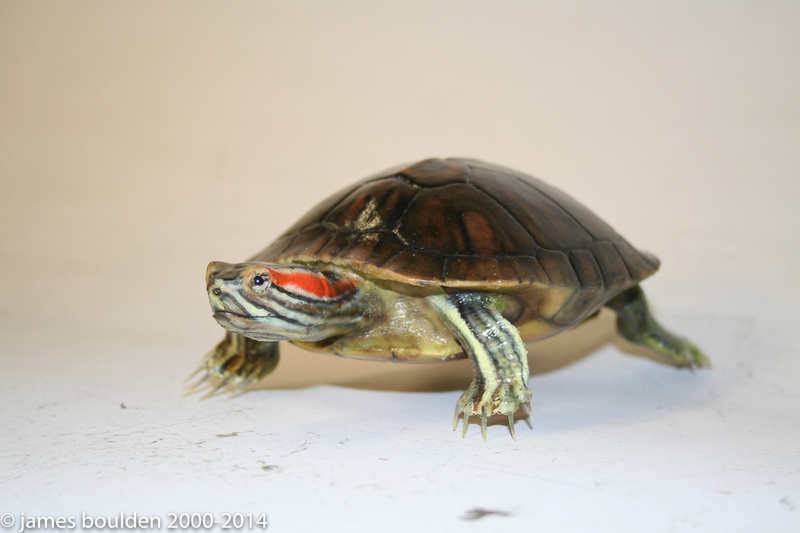 This exact replica of a red slider turtle (approximately 10" long) has the same shell as the other turtles with newly sculpted face and legs ready to be painted for any scheme. Has a few minor chipped spots. Made from a self-skinning urethane foam. (Trachemys scripta elegans) Also known as the "Red Eared Terrapin". This item can be made as an animatronic version.